Remember when this show wasn’t on adult swim and an integral part of cartoon network programming? Was expecting that song from Eiffel 65, was pleasantly surprised. f*ck that song, now it's in my head... F*CK!!!! i used to do this while listening to the delfino plaza music in super mario sunshine. What's cooking behind them? And why must it be this "hot"? Brak, it is I, your father, did you move my chair? Mmm, syncs well after first time played, nice. What day is it? Could you please tell me. What day is it? I'm confused you see. ITS PEOPLE KEATONKEATON999 IS PEOPLE!!!! It's Tuesday Bluesday better wear your shoes-day. This has been looping in my browser for the last two hours. If this is Pacard'ed I will 5. It's pretty seamless in Firefox; IE has issues though. Any tips on making it seamless? Never mind, I was able to fix it. Sound loop should now be seamless in both Firefox and IE. My only question: Why wasn't this made sooner? this reminds me of that one time when things weren't so fancy on this site. Everybody stutters one way or the other, so check out my message to you. As a matter of fact, don't let nothin' hold you back. If the Brakman can do it, so can you. Everybody's sayin' that the Brakman stutters but doesn't ever stutter when he sings. 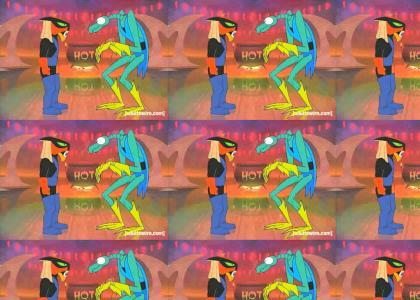 But what you don't know I'm gonna tell you right now - that the stutter and the Brak is the same thing - He's the Brakman. He's the Brakman....repeat after me! It's a DOOBADABADOOBADABADEEBA melody! Every time I play this, my dog starts running around like a retard on Mountain Dew. It's kind of amazing. DROPPING LOADS ON GAY KEYWORD!! Man I miss Cartoon Planet. That show was magical. Ok so this is from one of the musical skits on the Brak Show called "Chili Today, Hot Tamale" -- I can't footage of it though, time to rewatch every episode for the second time this year!